Today, the YMCA are proud supporters of Child Protection Week 2018. Head to https://childprotectionweek.org.au/ and check out the amazing resources available to support organisations and the community dedicated to keeping children safe. 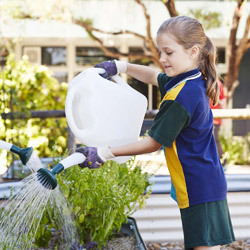 It’s important to support children’s emotional growth through providing a safe environment and promoting a hands-on connection with nature. With this in mind, here are five strategies to facilitate mindfulness with children.